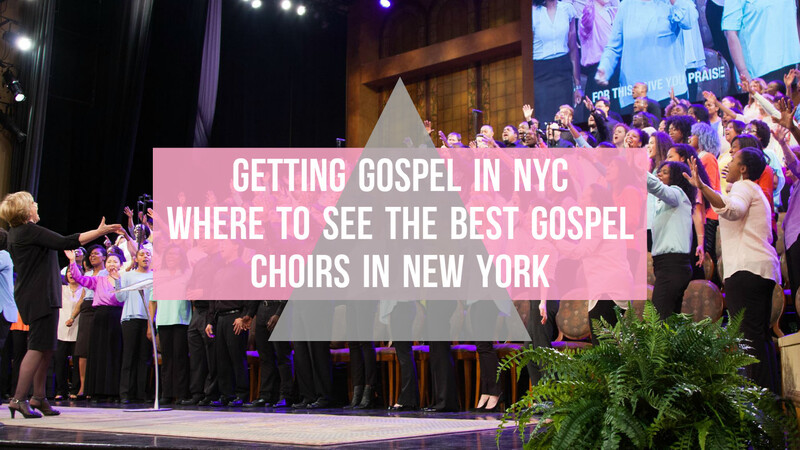 New York is the home of some incredible gospel choirs and if you are planning a visit to the big apple there are plenty of places for you to hear gospel music live around the city. 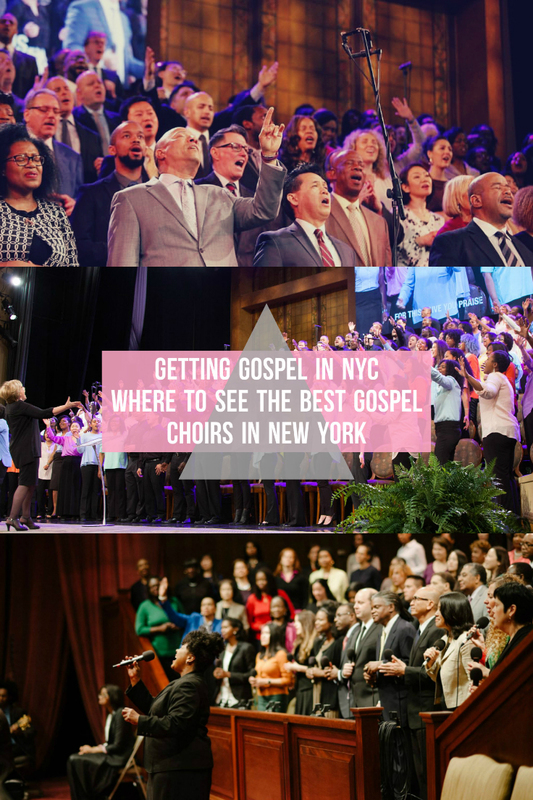 Although there are some guided tours created specifically for tourists – these can often be expensive and feel a little inauthentic so I’ve rounded up the top three places for you to get the best experience of gospel choirs in New York, without the price tag. The most centrally located of the bunch is Times Square Church, which is actually a renovated Broadway theatre right in the heart of Manhattan. The 180 strong Adult Praise Choir is made up of people from over 30 different nationalities and all walks of life including students, business professionals and single mums who meet to perform and worship. This one is ideal for anyone who’s time in New York doesn’t fall over a weekend as they minister a mid week service on Tuesdays at 7pm along with the two Sunday services at 10am and 6pm. Perhaps the most social media savvy gospel choir in New York on the list, the choir from the First Corinthian Baptist Church not only have their own Facebook, Twitter and Instagram page – they also stream their performances live online! Tourists will always get a warm welcome here and they have three Sunday morning services to choose from. If you want to beat the crowds, go for the 7.30am service but if early rising isn’t your thing there are also two later services at 9.30am and 11.30am. Located just on the borders of Manhattan and Harlem, the First Corinthian Baptist Church is also just a five minute stroll from the northern side of Central Park, so why not team your New York gospel choir experience with a brisk Sunday morning walk around the greenest part of the city. 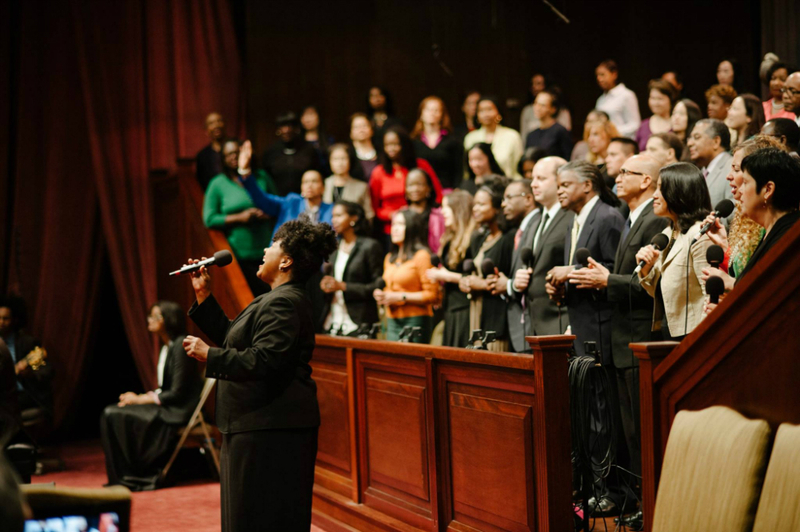 The Brooklyn Tabernacle is often given the title of the best gospel choir in New York and it’s not hard to see why as the 270 voice choir has already scooped up five Dove awards and six Grammys. The choir was first formed in the 1970’s with just 9 people before it went on to enjoy the global success that it does today including performing at the 2012 Presidential Inauguration in front of an estimated viewing audience of one million people. 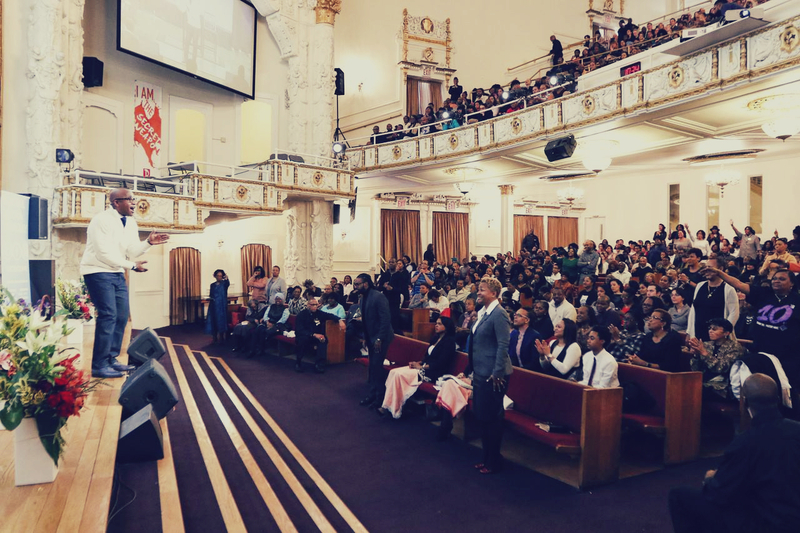 The church can be found in downtown Brooklyn, just a short walk away from the Brooklyn Bridge, and this choir too only ministers in Sunday services at either 9am, 12pm or 3pm. 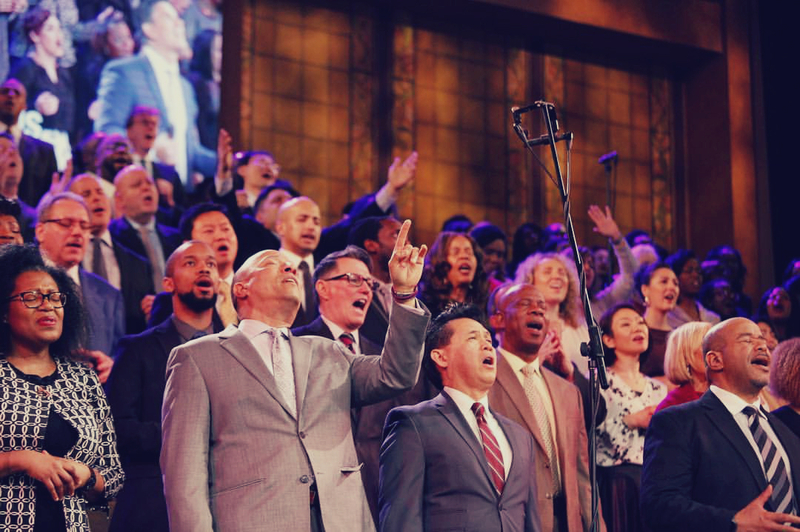 The choir will sometimes be replaced with a core group of Brooklyn Tabernacle singers but to check if the choir is singing for a specific date and service, you can call the church office before you visit. It is important to remember that the choirs are performing as part of a religious service, so be respectful and look up any specific visitor information before you go – they will usually have helpful advice pages for tourists on their website. The services will normally be over two hours long, so try and leave yourself enough time to stay for the duration, as it may be considered disrespectful to leave halfway through. Have you ever heard a gospel choir perform? Have you ever heard a gospel choir in New York perform? Where are your favourite spots in the world to see them? Like this post – pin it!